I've been using PCSX2 since last year and it works fine. See, this time I want to put 2 games in one ISO, so I can have 2 games on 1 file. It saves space on my computer and I know it's possible. Anyway, I've been watching a lot of tutorials on YouTube and basically tried everything in the past 3 days. It's easy, but it's not working here. At this point, I'm just frustrated and kinda mad. I hope you guys can help me to understand what's going on. Separately, the games (NFSU 2 & KOF 2006) are working fine. PCSX2 emulate them and they're working. No problem here. The problem happens when I put them together. On every video I've watched, it ALWAYS work on their PCSX2. In the video above, the guy is using the PCSX2 Maetel 4.5. I've tried to find it, but only downloaded a corrupted one. I also tried with the current version of PCSX2 and 1.0.0. Doesn't work. Only a black screen. Sometimes if I wait long enough, it shows some FPS, but still black screen. 3 - Now it's time to create the ISO with both games together. All you gotta do is paste these PS2 Load files into the UltraISO (or IMGBurn) + all the files of the extracted ISO games with exception of their original "system.cnf". 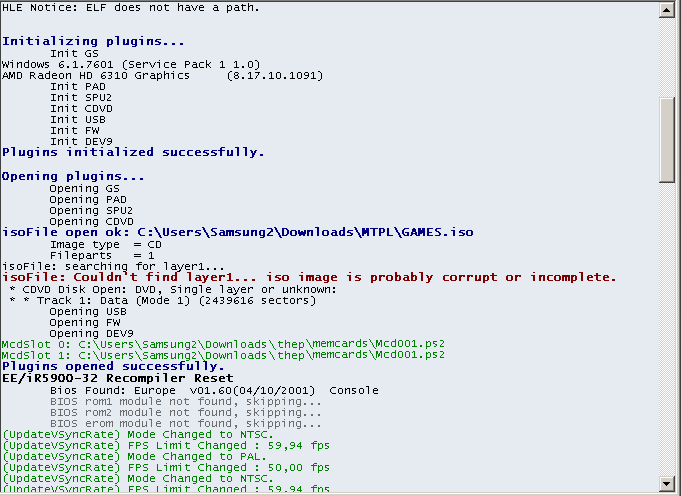 You don't put the games "system.cnf" files, because "PS2 Load" already has one. Check it out >> https://i.imgur.com/6IcNxwq.png << This is how they look together. Now, a few observations. The games cannot have files with the same name. I've checked them and they don't. So it's all ok. Why it doesn't work? PCSX2 simply doesn't run it. I got these 2 LOGS. Check LOG 1 >> https://i.imgur.com/Ua3AHnI.png << & LOG 2 >> https://i.imgur.com/hChgc6f.png <<. 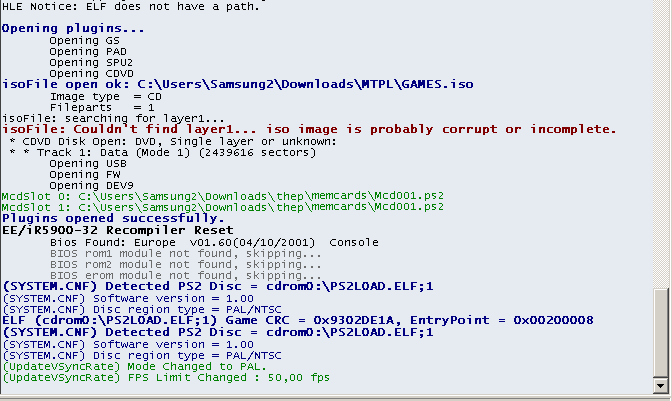 I think that the biggest problem is this "hle notice elf does not have a path pcsx2", because it shows as soon as I run it. Why it doesn't work for me? Maybe NFSU2 & KOF 2006 doesn't work together? I don't know. since it's unrelated to pcsx2, i'll move it to off topic. Making 2in1 just to save space will not give you anything. 2.Adding dummy files...this is using the same method but rather than positioning the files in specific sectors to increase the disk size,the disk contains big useless files full with zeros. In both cases the size of the false lba and the dummy files when compressing the image becomes 0,so it's like you are making a ?in1 disk but without all the hassle(there are some games that you can't make ?in1 because the check the disk for the files locations(in sectors)or/and the total size of the image. vsub.. it supports gzipped iso's? what type of space savings are you sseing there? Currently my only disk is a little 250 samsung evo, and I'm considering replacing my cd drive with another ssd.. I can't really tell you. I'm using 2tb hdd on my laptop/pc and I have 2tb external drive so I don't really care about used space. Thanks for all the infos. Really appreciate it, man. Indeed, I'll probably not gain anything using PCSX2, but I definitely want to try it to play on my PS2 as well, because it's less stressful, since you don't need to setup anything. Lol. Can you tell which games you chose to combine with KOF 2006? Do you remember? Also, which method did you use to do it? I couldn't find any different method after browsing for days. They're all the same. On the PS2 shrunking a game and adding more will make it harder on the laser to read the disk(which is not good,that thing is really picky...I lost one laser once). No problem. But thanks for letting me know about KOF 2006 working. I've tried to put KOF 2006 + GTA Liberty City Stories now. And see, I'm aaaalmost there, but still not 100%. Lol. Now the menus are loading, but none of them are working. It always freezes. I can't move or choose anything. My PADS setup are right, so that's not the problem. 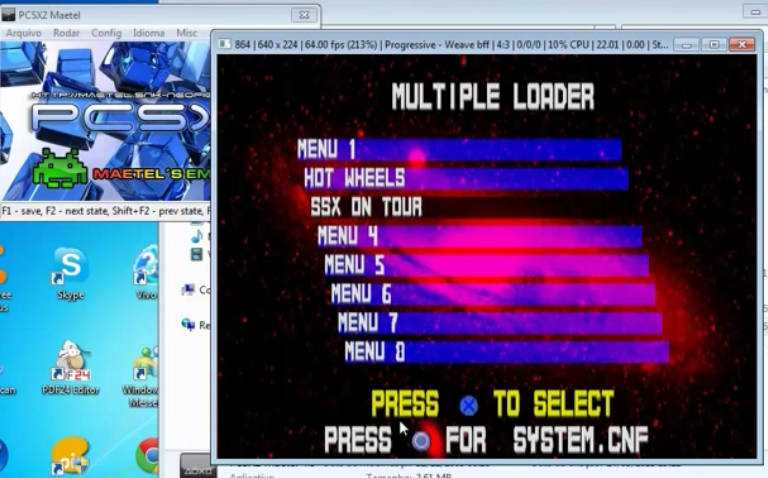 Multiloader menu freezes and PS2Load too. The FPS still flowing on the top of the window, but the menus are frozen. You think that maybe it would work on my PS2 even though it's freezing on PCSX2? It got me thinking. But since it's freezing on both methods, it might have something wrong with it. Or maybe it's right, but PCSX2 doesn't run it for whatever reason.